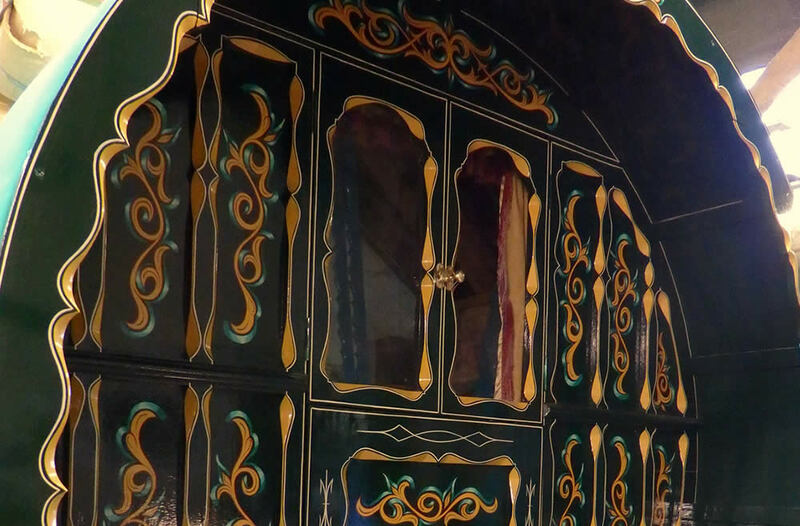 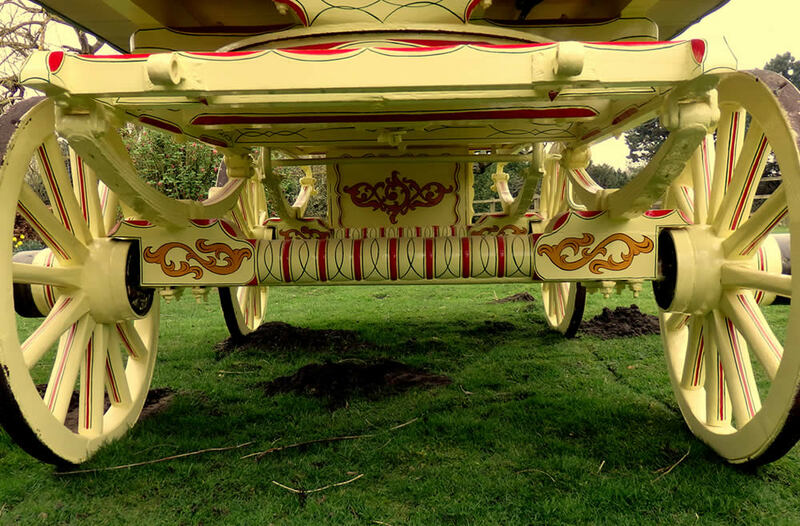 Inspired by the original Victorian design, our hand-built Reading style Gypsy caravans are fully fitted with an extending double bed, seating with lockers under, as well as a pull out table, wardrobe, cupboards, fireplace, bookshelves and a secret den which children adore. 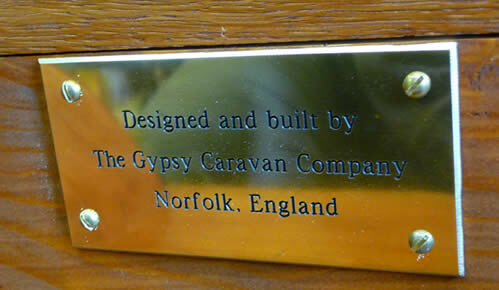 Just like our Reading caravans, every customer is unique so we believe in working closely together to ensure the finished product reflects that. 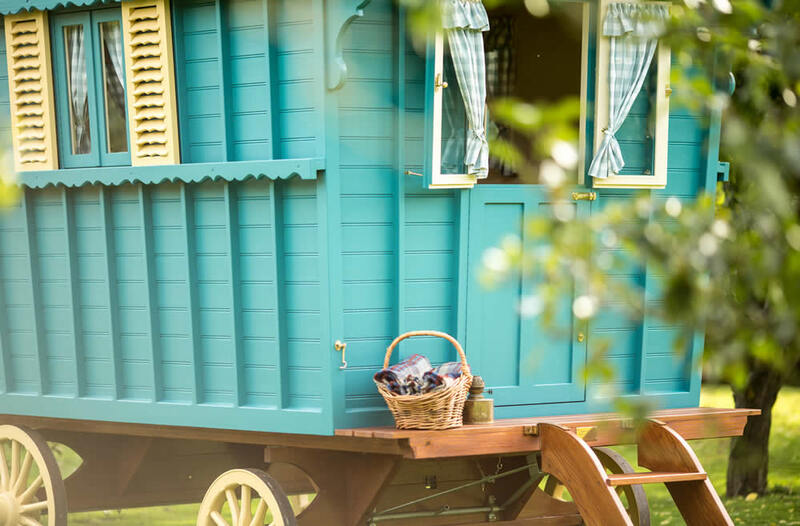 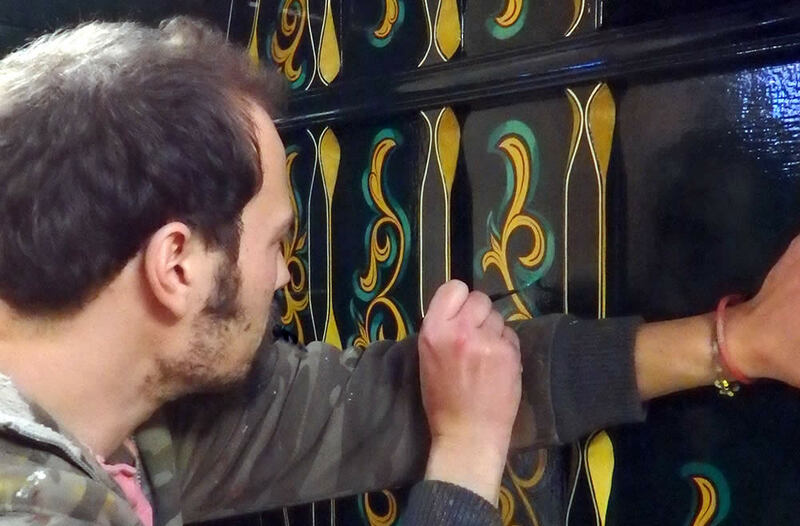 Every caravan is hand painted using quality finishes and, as our caravans are built to order, you are able to choose your own colour scheme and curtain fabrics. 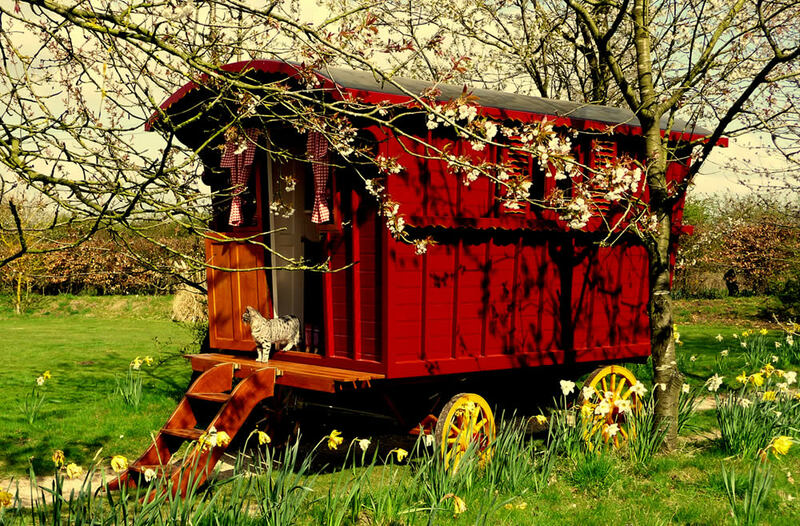 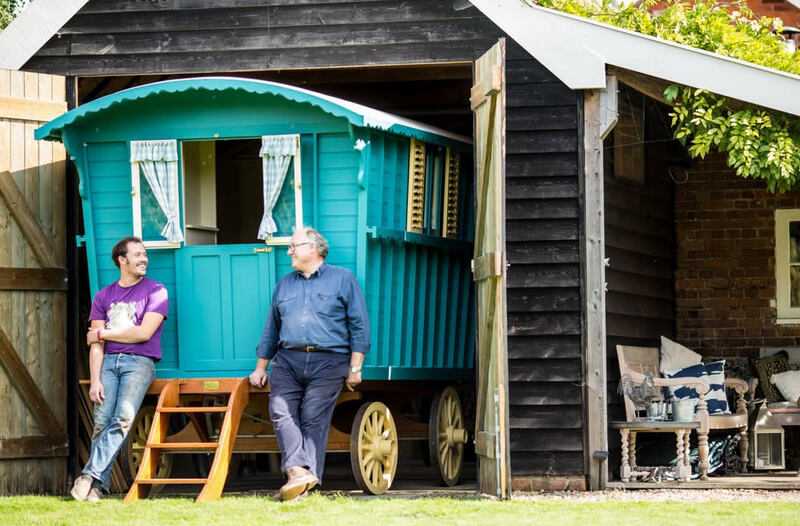 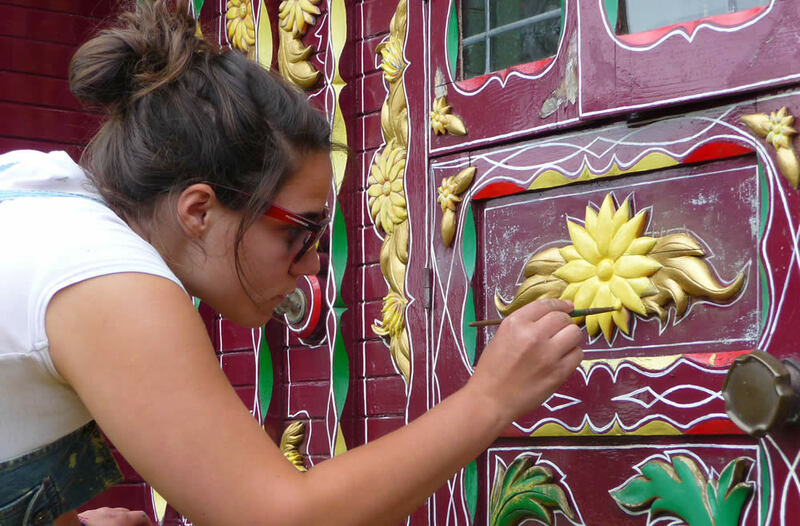 Alongside our Reading Caravans, we may from time to time, acquire a second-hand or 'vintage' gypsy caravan which, time permitting, we restore to it's former glory and offer for sale. 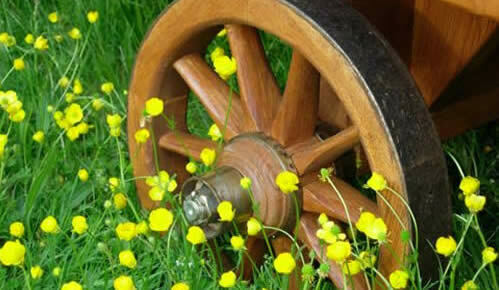 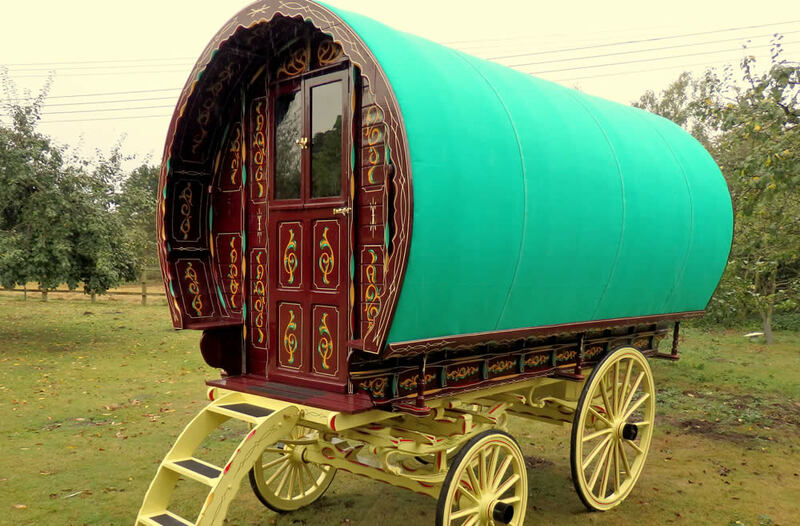 If you are the owner of a Gypsy caravan in need of some love and attention, we can also offer a restoration and repair service. 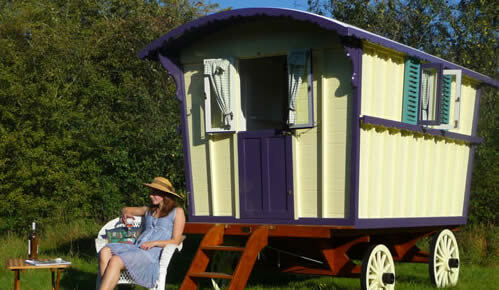 Last year we were delighted to be asked by Farrow & Ball to help with their new colours promotion.